Fans of the Parisian haute maroquinerie house will be pleased to learn that VERBREUIL has launched a men’s collection. Due to popular demand– VERBREUIL received requests about men’s accessories for years– the maison recently unveiled these original, elegant pieces at the Hôtel Plaza Athénée, a palace hotel on the Avenue Montaigne that has a long-time relationship with the fashion world. Held on February 6, the fourth annual Dandy’s Nights was an opportunity to showcase the trendiest men’s fashion brands at different pop-up shops. Verbreuil’s not only offered a sneak peek at the collection, but also provided an opportunity to watch master craftsman at work, as each of Verbreuil’s leather goods is hand-crafted in France by experts who are trained in centuries-old savoir faire. The leather itself is sourced from the finest tanneries. Psssst. Want a bespoke item? 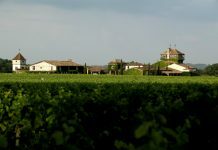 The VERBREUIL House proposes a tailored-made service, as well. 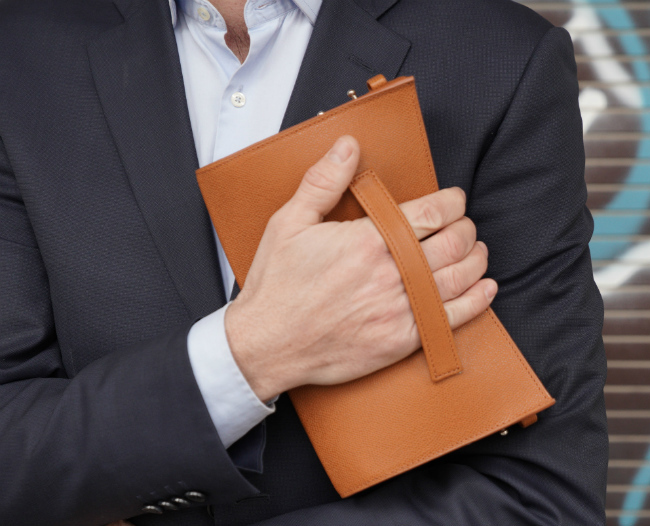 The first VERBREUIL collection for men offers six unique models– pen cases, computer cases, briefcases and clutches. All are both elegant and functional at the same time. In line with the values of the house, each piece exudes a strong, timeless and refined style. “Men are changing, and so does their expectations in term of accessories. 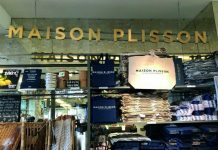 Today, they wish to have access to less stereotyped items and more distinctive ones,” explains Sylvie Véron Hériard-Dubreuil, Co-founder and Creative Director of the House. The VERBREUIL collection has thus been designed to allow for individual expression. For this new collection, the Creative Director chose a natural, untreated leather best suited for men: a vegetable tanned taurillon leather, especially elegant in black and deep blue, which acquires a patina over time. The pieces are lined in black microfibers for a soft touch, while the ergonomic shapes have been carefully designed to simplify life for modern men. 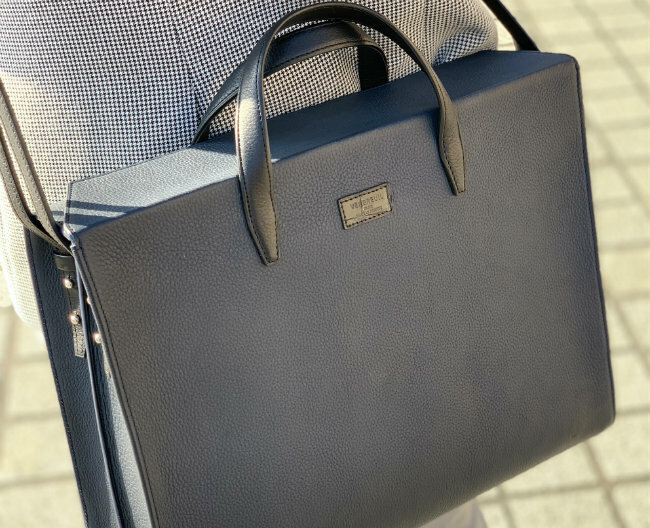 Hillotan BriefCase: an original and elegant accessory that also serves as a functional work tool. 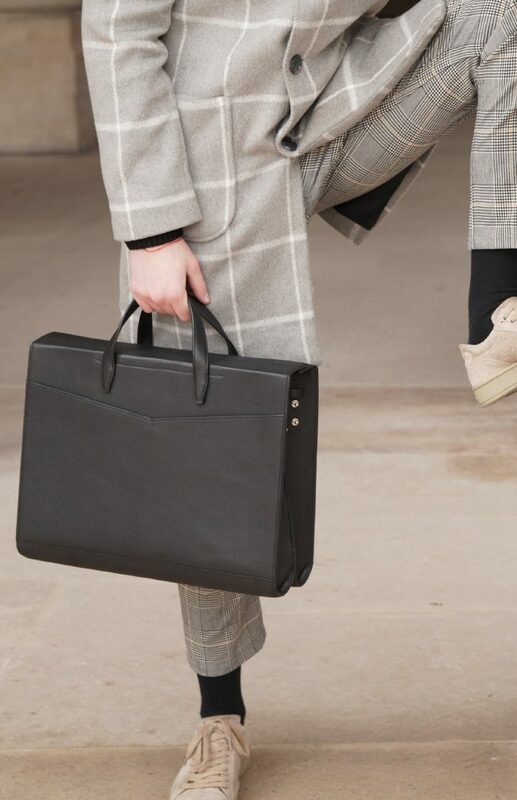 Roch H Briefcase: the ideal companion for busy days and short business trips, designed to allow multiple uses for the nomadic modern man. Lined in microfiber and leather, it contains a central pocket to slide a laptop, and other areas to put all essentials and a removable strap. Magnetic closure. Hillotan Clutch: worn upside down with the hand in the strap, this audacious clutch gives an elegant and trendy twist to your outfit. Carry your essentials (mobile phone, credit cards, keys) with you at all times. Roch H Clutch: the charm and casualness of a little bag with personality. 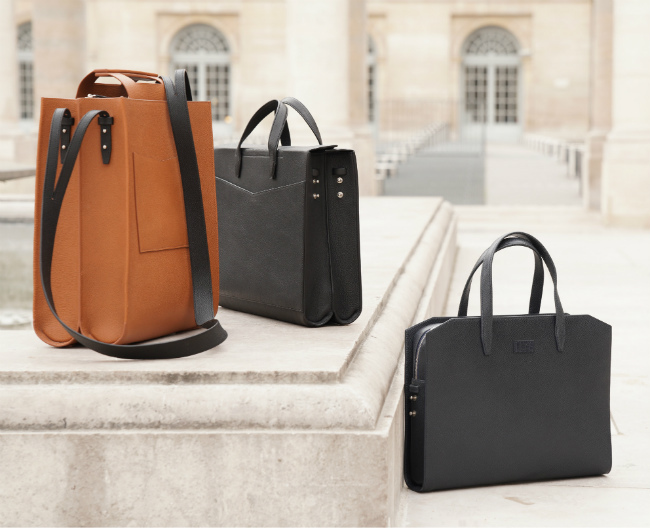 Carry the bag by hand or with a discreet, removable strap. Hillotan Computer Case: designed to insert a laptop or other electronic device along with your documents. It can be worn under the arm or by hand. 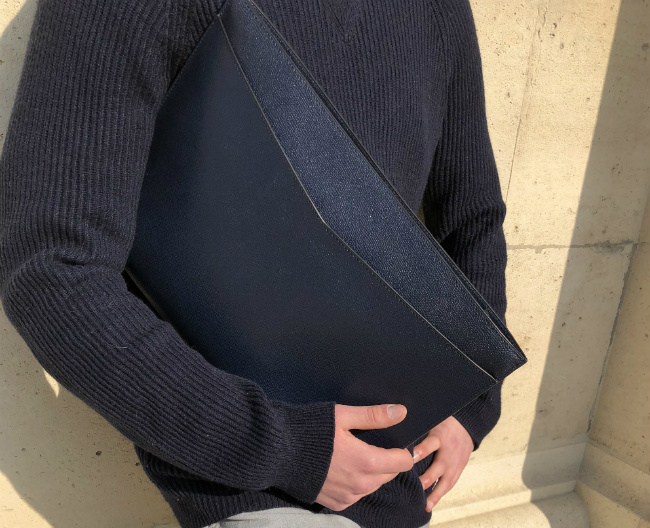 Appreciate the meticulous signature details of the VERBREUIL house: the V shaped outside pocket, the polished sides, the alligator zip and triangular corners… Choose either a microfiber or a lambskin lining. All the models are available in VERBREUIL’s two Paris boutiques and online via the website.